Last Sunday, September 24th, one of the heaviest lineup touring nowadays arrived to London. The venue was packed and the moshin' pits were brutal! The openers were the crossover - thrash metal band from Texas, Power Trip, who have recently played along with Anthrax and Lamb of God. Their fame is rising fast since their latest album release "Nightmare Logic". Finally, the death metal gods from Florida, Obituary. 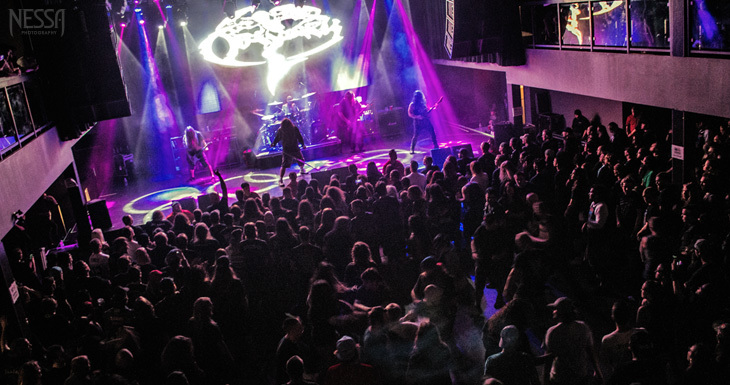 With a heavy history that surpasses the three decades, they provided the London crowd with a show of sheer brutality.